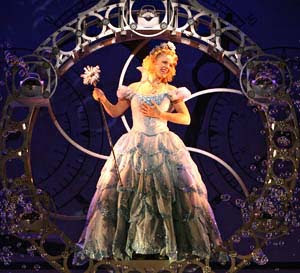 Katie Rose Clarke (former 1NT Glinda) will be taking over the role of Glinda on Broadway on Tuesday, January 12th. This is confirmed by broadwayworld.com. On the same date, the role of Nessarose will be taken over by “Wicked” newcomer Jenny Fellner (previously played Linda in “Pal Joey” and Sophie in “Mamma Mia!” on Broadway). This puts Erin Mackey and Michelle Federer’s last performances as Glinda and Nessarose, respectively on January 10. This entry was posted in Uncategorized and tagged Broadway Production, Erin Mackey, Jenny Fellner, Katie Rose Clarke, Michelle Federer. Bookmark the permalink.